Downside: Pay attention to your friends! Downside is a simple game that’ll get you talking again. You can play Downside anywhere you’re with people. Friends gathered at the pub, your family around the dinner table, or an office meeting will all love Downside. 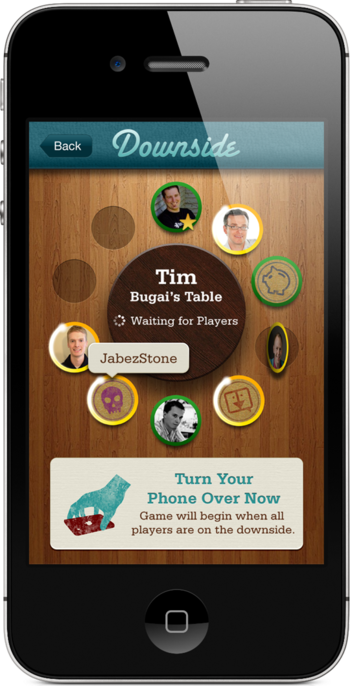 The object of the game is to keep your hands off your phone. Once everyone joins a game, you flip your phone over and the game begins. The first person to pick up their phone loses. 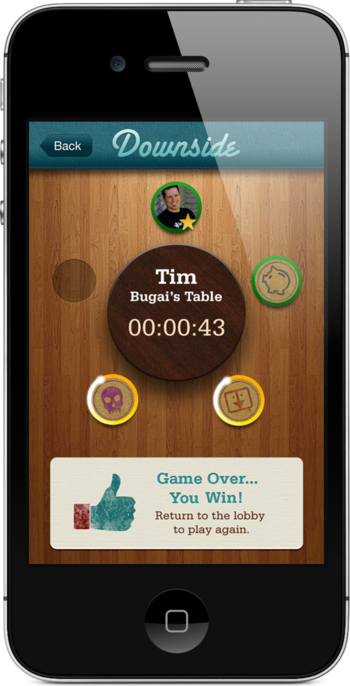 Integrated with Game Center to show off your winning style. Add your own challenges. Maybe the loser will have to take out the trash, or pick up lunch! Actually talk to your friends & family in the room, rather than staring at your phones. Twitter, Facebook, and email can wait for you. After you lose, though, you can talk to us on on Twitter, Facebook or at downside@collectiveidea.com. 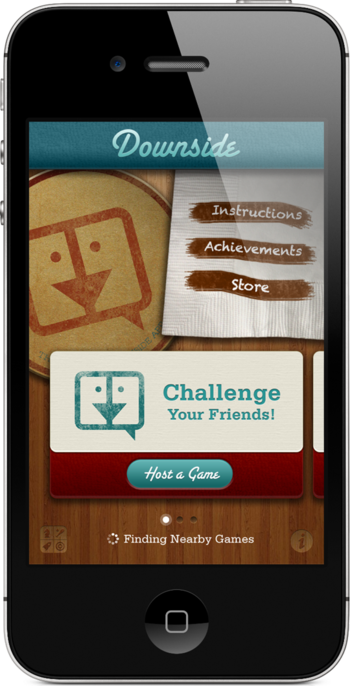 Downside is available as a free download for iPhone® and iPod Touch® in the App Store℠. Downside was lovingly created by Collective Idea, a software development and consulting firm in Holland, Michigan. We love building apps for the web and mobile devices, so contact us and see how we can make your app amazing! © 2013 - 2019 Collective Idea. Made in by Collective Idea. Powered by Harmony.